Keystone Arms is built on the foundation of Tanner Barton’s passion for guns that started in his early childhood. This favorable pastime grew into a love of hunting, target shooting, and customizing firearms. We all love the idea of customizing and accessorizing. We want to know everything we own is uniquely ours. We customize and accessorize our vehicles, wardrobes, homes, cell phones, computers, and so much more; so why not take your firearms, firearm accessories, and other everyday items to the next level? Let Keystone Arms in Mannford, OK help you reach that next level and extend the life of your firearm and improve its ability to stand up to a number of damaging elements in the most stylish way possible. We use Cerakote’s unique ceramic-based, oven-cured finish; proven to be the most durable choice on the market. It helps protect against abrasion, impact, general wear and tear. It is chemical and corrosion resistant. Cerakote can be applied to metals, plastics, polymers, and woods. With access to over 100 different Cerakote colors and the ability to mix colors to get just the right shade, we guarantee you will be satisfied with the high-quality work we provide. If we don't have the color you desire in stock, we will order it to ensure you get exactly what you're looking for. Alongside the endless color choices, all of the patterns and stencils are created in-house using high heat-resistant vinyl. Keystone Arms can produce almost any stencil you can dream up which provides a unique coating for each client that they are sure to love. It is because of the attention to detail, willingness to give you the best product available on the market, and the ability to tailor to each client’s desired designs that makes Keystone Arms unbeatable when it comes to Cerakote application. WE PAINT YOUR ITEMS AS IF THEY WERE OUR OWN. 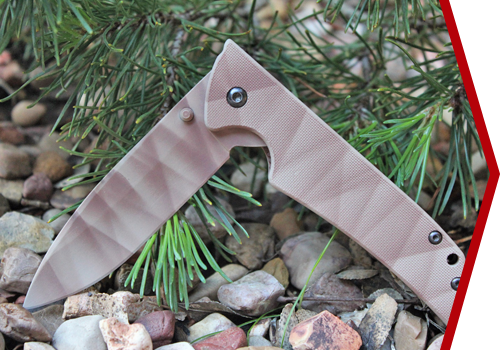 Cerakote offers a numerous varieties of finishes. Keystone Arms uses Cerakote H-Series and Micro Slick C-110Q upon request. The Cerakote H-series is the world’s leading thin oven-cured film coating. Micro Slick C-110Q is a dry film, air-cured coating commonly used on bolts to help reduce friction between the different parks of the firearm. This makes your firearm function more smoothly. We also offer a clear coat finish which can be applied to your items to lock in and protect the custom color finish applied by Keystone Arms. We only use Cerakote which has been proven to outperform any other competitive coating during laboratory testing and in real world performance.